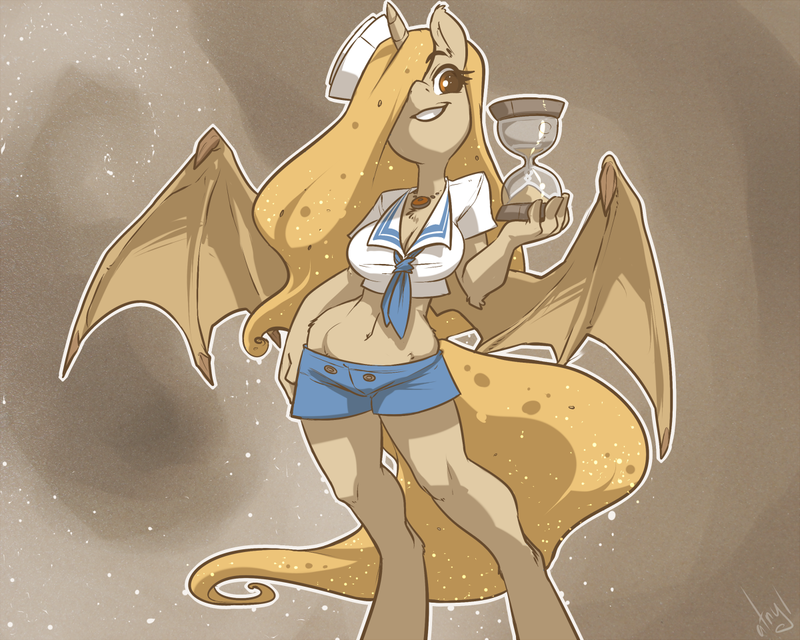 "Tired Goru: Can Atryl make Celsetia’s long lost sister who controls time who has bat wings look good in a sailor suit?" Very unique character, well done. El Princessa de Tiempo *means Time Princess in spanish* HAWT!!!!!!!!! "My heart is made of sand. Live or die, it means nothing to me"
Awesome, unique pony character with an hourglass figure! Is she available for adult commissions? Hopefully the answer is yes. I think so. I want to redesign her to make her less mary-sue-ish :) since she was made for a joke.